Ask former minor league baseball General Manager (GM) Rob Rabenecker who he would like to win the World Series, and he doesn’t name a team, he names a leader. “I like what Sandy Alderson has done up in New York,” he says without hesitation. You may not know that name, but you’re probably familiar with his work. Alderson is the guy who has twice built winning teams with an unorthodox approach to management, first in Oakland and now in New York. They made a movie about his process that defies trends and does not rely on superstar players and multi-million dollar contracts. It requires a broader view, attention to details, and consistency. “Know your ballpark,” Rabenecker says. Gone are the days of hopping on a $40,000 lawn mower and striping the outfield turf, or staying after the last concession stands are closed to pull the tarp over the field. These days, Rabenecker’s ballpark is the Royal Palm Beach Chick-fil-A restaurant in West Palm Beach, Florida. He still fields a team every day, and they look to him to set the tone. “We huddle up each morning and spend a few minutes planning how we want the day to go,” says Rabenecker. He walks the grounds with an eagle eye, looking for any encroachment of mediocrity: trampled landscaping, an abandoned cup in the parking lot, general wear and tear. Know your ballpark. 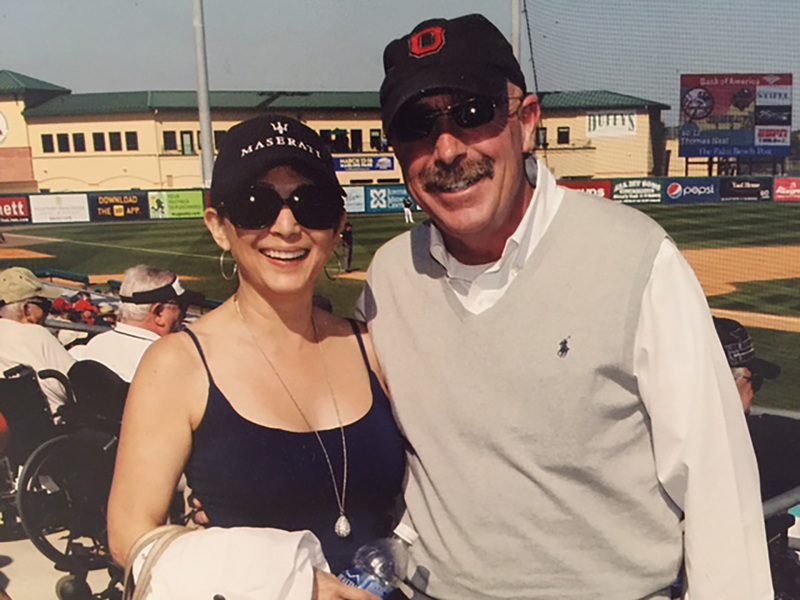 At the end of a twenty-year career in sports management, Rabenecker was managing Roger Dean Stadium in Jupiter, Florida, one of only a few ballparks that houses multiple minor league teams, as well as two major league teams during spring training, the St. Louis Cardinals and the Florida Marlins. This arrangement meant that for many months of the year, the job was nearly a 24/7 enterprise. In the mornings he’d meet with corporate sponsors, and for the rest of the day he was overseeing all of the operations of the facility, from concessions to marketing and community engagement. If baseball is your passion, then October is your Christmas. In 2006, the Cardinals were in the playoffs hoping to win their tenth World Series, and rather than being enamored by the season, he was spent. The Cardinals did win that series, a remarkable achievement for Rabenecker and his entire organization. Yet even as he was driving the World Series trophy around in his car conducting interviews with local media affiliates, the GM realized the hard truth: the thrill was gone. Feeling led to pursue something new, Rabenecker and his wife Chandra began toying with the idea of opening a restaurant. They were both drawn to Chick-fil-A because of the company’s focus on community and commitment to a day of rest. Just two weeks later, Rabenecker found himself at an event listening to the speaker, Chick-fil-A President and CEO Dan Cathy, who serendipitously also sat beside him. Shortly thereafter, Rabenecker applied to become a local owner of his own Chick-fil-A. 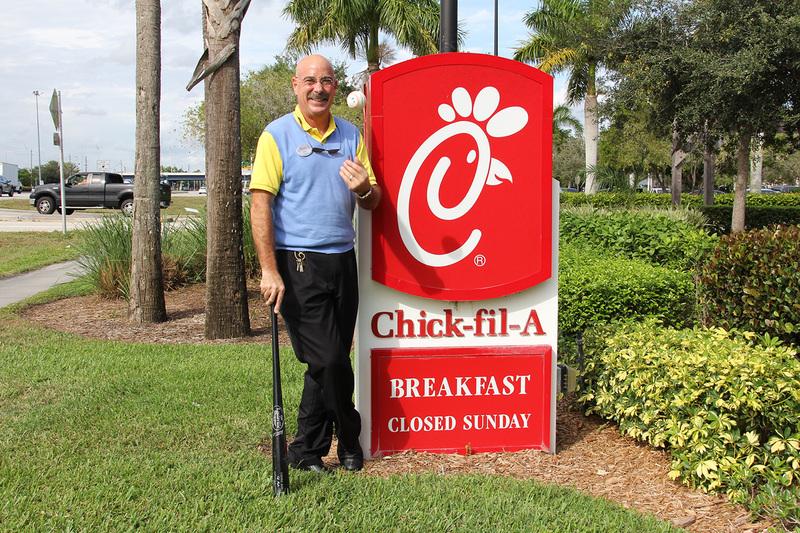 A good manager doesn’t make any big moves without first taking a scouting trip, and so after initial conversations with Chick-fil-A representatives, he was off for a week to work side-by-side with a local restaurant owner outside of Orlando. His hands-on experience in the restaurant only cemented his desire to move forward. By September 2007, Rabenecker was running his first Chick-fil-A restaurant at the Mall at Wellington Green, a location he still operates. It wasn’t all smooth sailing in the beginning. On his first day, he discovered a significant discrepancy at the end of the night while counting the money. He frantically called another Chick-fil-A owner, who gently reminded him to empty the registers before doing his count again. He laughs when he tells the story now, years later. These days, the GM-turned-restaurateur is busy coaching his team, feeding his fans, and serving his community. And while his ballpark may be different, the same old thrill is reignited. One of his favorite things? Hosting the annual High School Challenge, a friendly competition he holds at his restaurants to raise thousands of dollars for the local schools in the West Palm Beach area. On November 10th, Rob Rabenecker will be inducted into the Florida State League Baseball Hall of Fame, which commemorates players, managers, umpires and owners for their outstanding contributions made within the minor league and greater baseball industry. It’s an honor the former GM accepts with gratitude and humility. Asked if he ever gets nostalgic as he watches come-from-behind wins and gut-wrenching losses under the bright lights of post-season baseball, Mr. Rabenecker laughs and recalls pulling that tarp over the field every night. He made his decision, he accepted the trade, and he’s on a winning team.